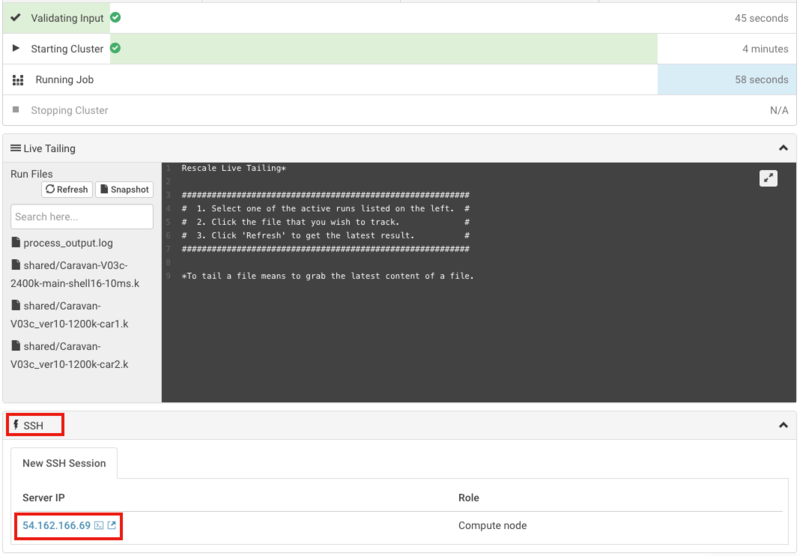 In-browser SSH - uses the browser interface of the Rescale platform. SSH on local workstation - connect to your cluster using any terminal on your workstation. This article describes the steps for both the methods. The most straightforward method is to use Rescale&apos;s in-browser SSH. This method works without requiring any additional authentication or setup. This method is useful for users without easy access to a terminal for quickly checking cluster status, disk usage, or any other interactive function on the cluster. Once your job has been submitted and the cluster has started, you will see a window appear below the "Live Tailing" section. Click on the IP address of the compute node to launch the in-browser SSH terminal. You can now interact with the running cluster using this terminal, right from the web UI. Due to browser restrictions, you will need to make use of our copy/paste tool in order to copy/paste text in or out of the in-browser SSH terminal. You can access this tool by clicking on the tab with 3 dots at the right hand side of the window. 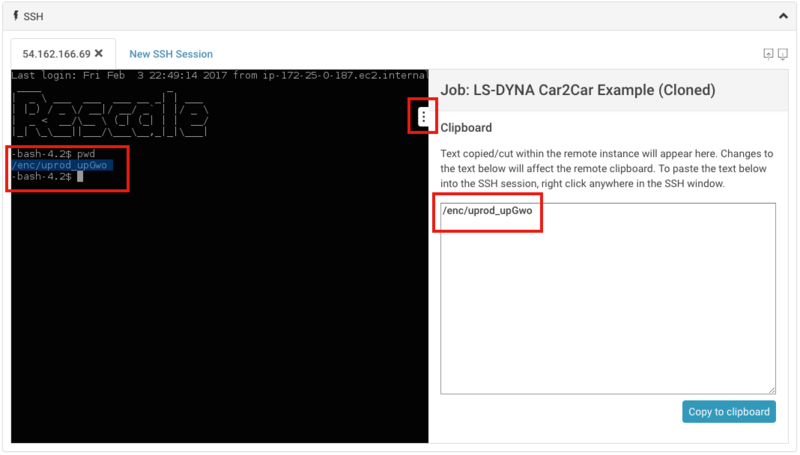 This tool allows you to transfer clipboard data from your workstation to the cluster, and vice versa. Please follow the instructions on the pop up window. If you would rather connect to your cluster using your own terminal on your machine, you must configure an SSH key in your Job settings prior to submitting your job. 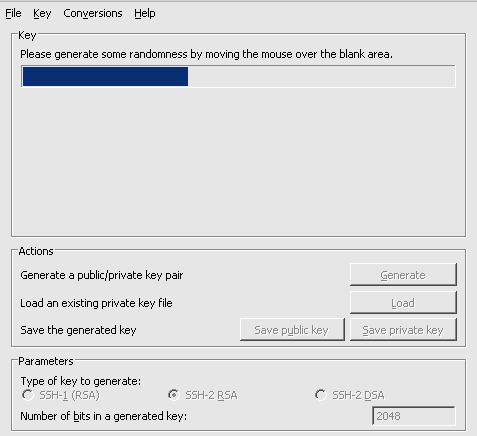 Instructions to for setting up your SSH key and connecting to your cluster can be found in the sections below. You can use PuTTYgen to generate your public/private keypair. PuTTY is a free open-source terminal emulator that functions much like the Terminal application in Mac OSX. You can download PuTTY from here. The PuTTYgen utility also comes with the PuTTY client installation. Click the Save private key button to save the private key. Please save it in an accessible location. Click Auth to display settings controlling SSH authentication. Click Tunnels to display port forwarding settings. When you connect to your cluster for the first time, you may see a PuTTY Security Alert warning you that the host&apos;s key is not cached in the the registry. Do not be alarmed; this is a normal warning. Click yes to continue. 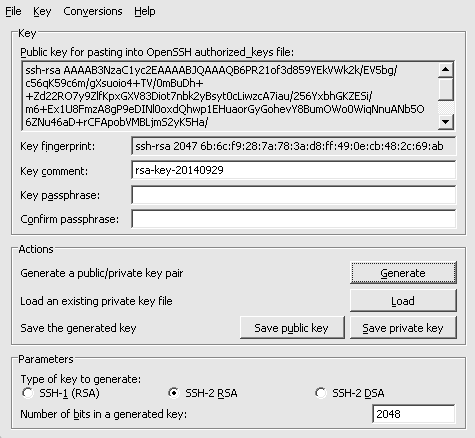 Authenticating with public key "rsa-key-1234"
On Mac OSX and Linux, SSH key generation utilities can be run from the command line of a terminal. To open the Mac OSX Terminal, open the Finder and choose Utilities from the Go menu. Find the Terminal application in the Utilities window and double-click it. The Terminal window opens with the command line prompt displaying the name of your machine and your username. This lists the files in your .ssh directory, however, if you have a new Mac OSX or Linux installation, the .ssh directory may not yet exist. Generating public/private rsa key pair. Your identification has been saved in /home/mairi/.ssh/id_rsa. Your public key has been saved in /home/mairi/.ssh/id_rsa.pub. In Mac OSX and Linux, you can use the terminal to log into your machine. In this example, the job username is uprod_qpWia and the public IP address is 107.23.132.81. You will need this information to log in to the cluster. The ssh command will log you in to your machine as the job user. If you defined a passphrase for your SSH key, the operating system will prompt you for it.